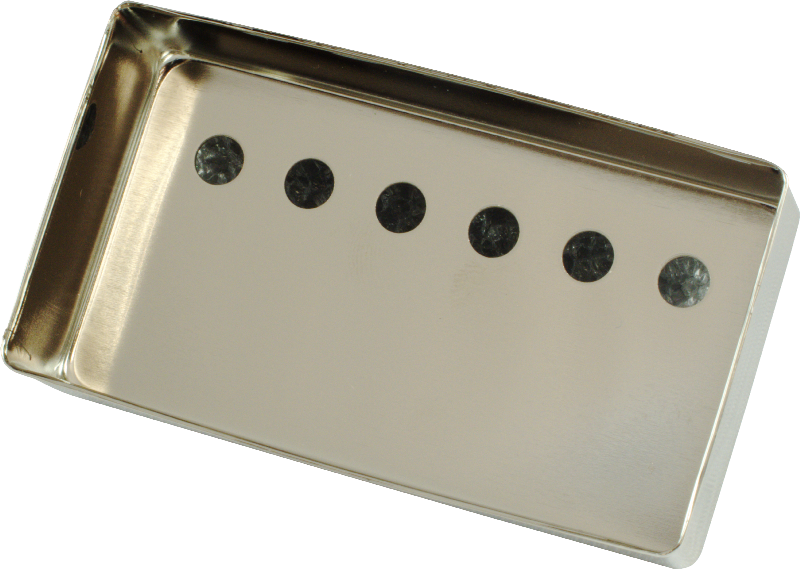 Nickel pickup cover used when winding your own humbucker sized pickups or for covering previously uncovered pickups to give them that sleek nickel look. These covers are plated and polished to a beautiful shine and feature a vintage style spacing. Packaging Dimensions 2.75 in. x 1.5 in. x 0.635 in. Asked by Anonymous on October 5th, 2016. Hi, these covers are made of steel. Asked by Anonymous on March 26th, 2019. 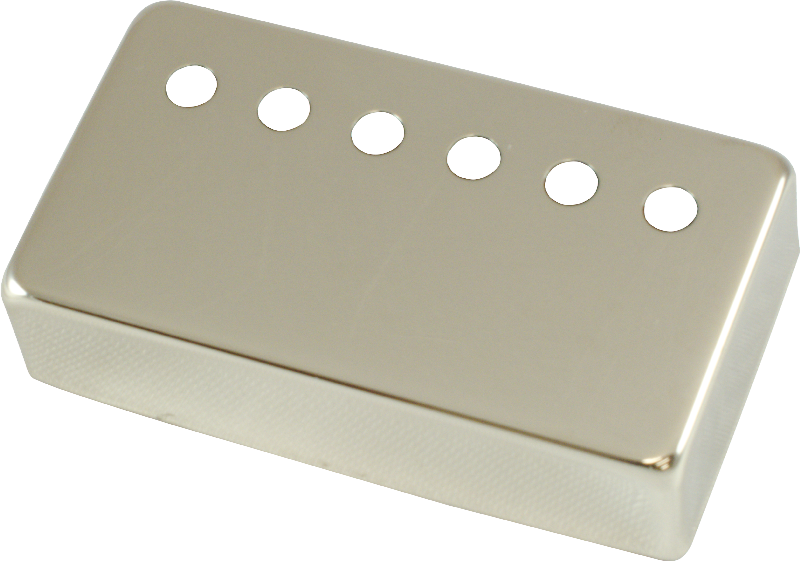 Provided the string spacing is 50mm, this should work for both bridge and neck pickups.